This beautiful room absolutely rocks my world! 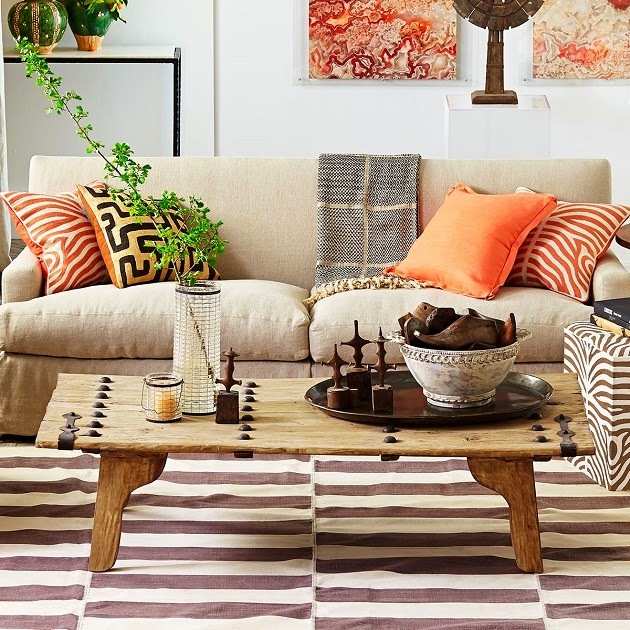 I like how the weathered coffee table, art, striped rug and decorative pillows provided a delightful visual interest against the neutral furnishings. Exuding warmth, style and a collected vibe, this gorgeous room feels comfortable and livable! Such an inspirational space! I can't take my eyes off this eclectic chic room, what about you? Are you drawn to this room as much as I do? I want that coffee table!